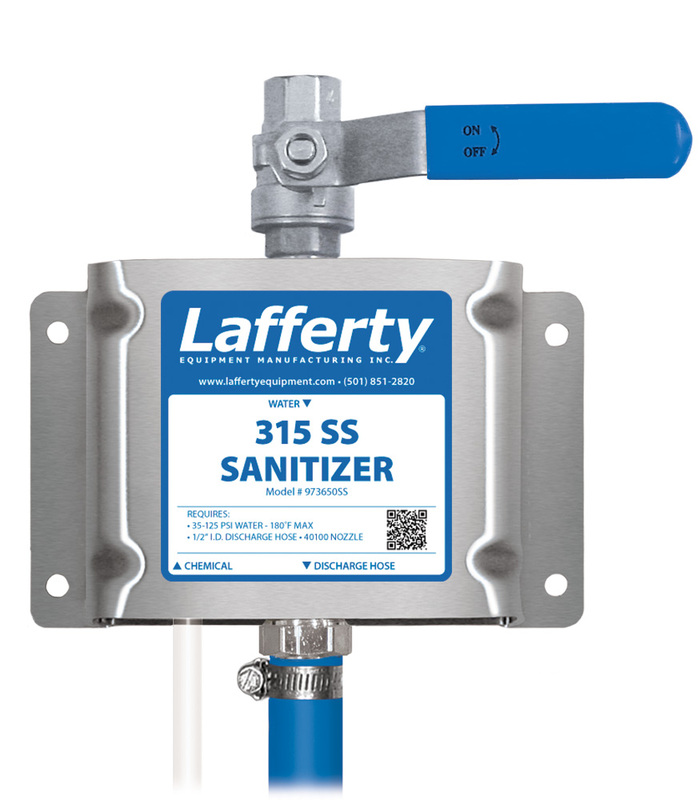 315 SS Sanitizer | Lafferty Equipment Manufacturing, Inc. The 315 SS Sanitizer is a stainless steel venturi injection system that uses standard city water pressure (35 - 125 PSI) to draw and blend chemical concentrate into the 4 GPM @ 40 PSI water stream. Precision PVDF metering tips create the lean ratios required for no-rinse sanitizing in food plants. The solution is then projected through the discharge hose and fan nozzle.